Our "Mediator Led" approach vs: "Lawyer Led"
Not to scale; please view landscape on tablet/mobile. The graphs show a view of how time is often allocated, typically 4x quicker than court. It compares estimated resources for the traditional "Lawyer Led" model, versus our unique "Mediator Led" single-point-of-contact resolution service, evidenced from case studies. Mediation reduces time because we work with you to separate the people from the problem so that you both feel able to talk about whats important, and why. Mediation is more effective because we facilitate negotiations for you to keep more control and to gain a "win-win" outcome, reducing or removing the need to two opposing lawyers. Our approach is specifically collaborative, controlled, confidential, informed and impartial; this is very different approach that results in long-term solutions in your interest not lawyers'. We make sure that you reach an agreement that's right for your family, with better outcomes for children, more privately rapidly and effectively. So - it's about lawyers charging too much? No - most lawyers want to resolve disputes but often have to get a long way down the litigation route before they are in a position to do so i.e. it is the system within which they work which leads to expense, not simply the lawyers themselves. 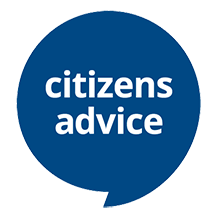 Supporting the Citizens Advice Bureau (CAB) in the Channel Islands with a means tested-sliding scale of fees. Contact us with a Mediation Enquiry to find out more. We act as the single point of contact, and arrange for mediation, legal and financial information with our partners in a simple, mediation based inclusive package. 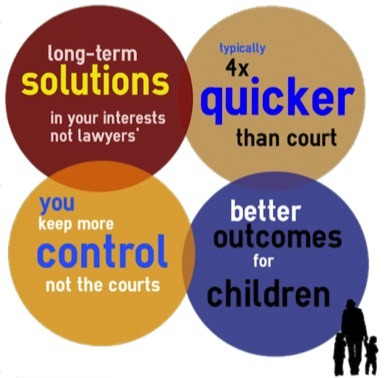 If need be, our specially trained family mediators will consult directly with children (DCC). We will meet you individually, and then jointly, mediating a draft settlement agreement using a legally based template. You can have time with our collaborative lawyer who will take your draft settlement agreement, finalise matters and prepare the agreement for the Court. Or you may litigate in person (LIP) - however, we always strongly recommend you seek independent legal advice on your final agreement before submitting it to the Court. In this way, we co-produce your settlement agreement with appropriate collaboration with your lawyer/s and other professional advisors, to meet your needs in a rapid and cost-effective way.